OK, this is likely to be pretty image heavy – be warned. Download the PDFs. 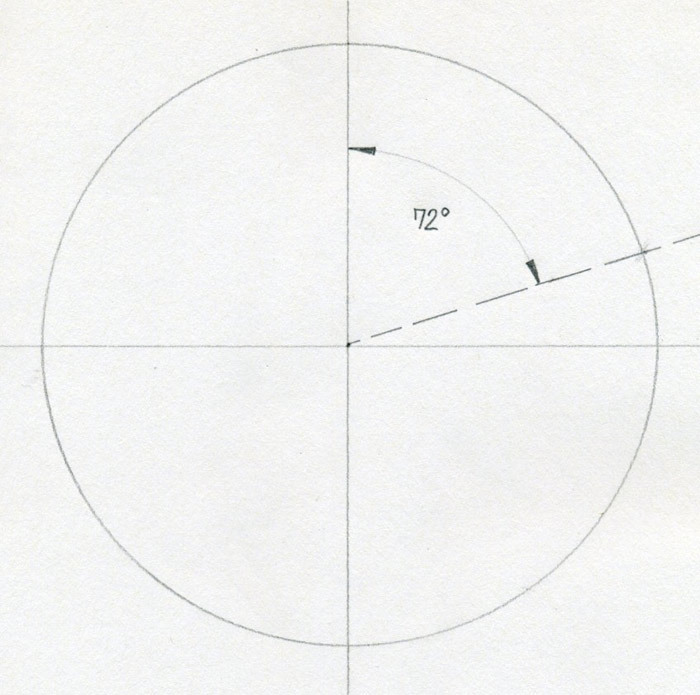 The PDFs consist of little circle motifs with a bit of text curved around them. They are sized to be punched with a 1 inch circle punch. The coloured version is here. Get a piece of printer paper – and the PDFs should work with both A4 and US letter sized paper. If you are using the coloured version, pick out papers to match the printed motifs. Cut 2 inch wide strips at least the width of your printer paper. I used scraps, and some were 12 inches wide, some 8.5 inches wide. Turn the scraps over and attach the patterned side to the printer paper with a rub-off repositionable adhesive, like Hermafix. Stick the first strip flush with the top edge, and each next strip right up against the previous one. If you’ve used longer strips, just trim off the excess – make sure you use enough adhesive to secure the strips to the printer paper. You really don’t want them coming loose inside your printer. Put the paper with strips attached thru your printer to print the PDF on the strips. When you get done you will have a set of five “petals” on each strip, printed on the back of a patterned paper that coordinates. 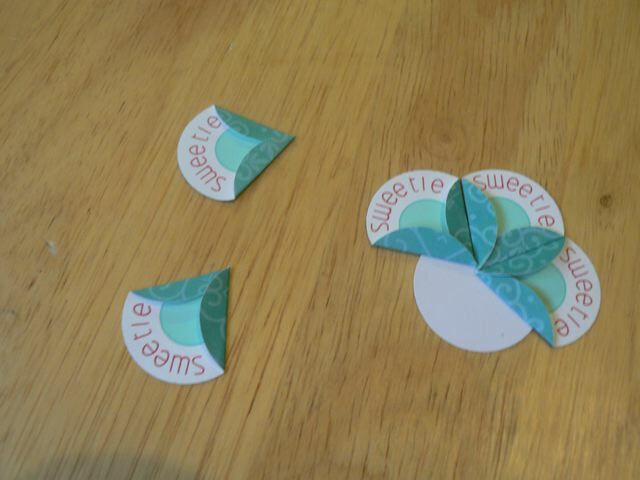 Now peel off one strip and punch out the five petals. Position the punch so the top curve is just above the text arc. To create the petals you just fold over one side (and I placed a bar at the bottom centre – if you fold the first side in along a line just past the letter to about the midline of the bar, then fold the other side over you should get 5 petals that fit nicely together when you stick them. But there is likely to be a bit of difference between them as the text bits are different lengths. So you may need to scootch your fold a smidge one way or the other. 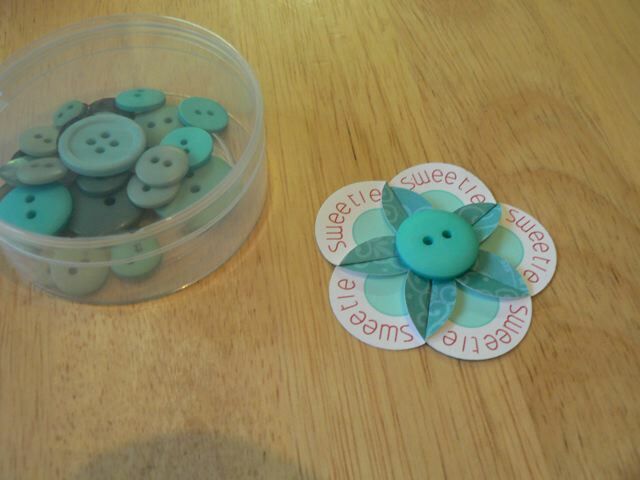 Get another circle – and as you will see this can be a scrap and quite small or bigger and coordinating, as you prefer. 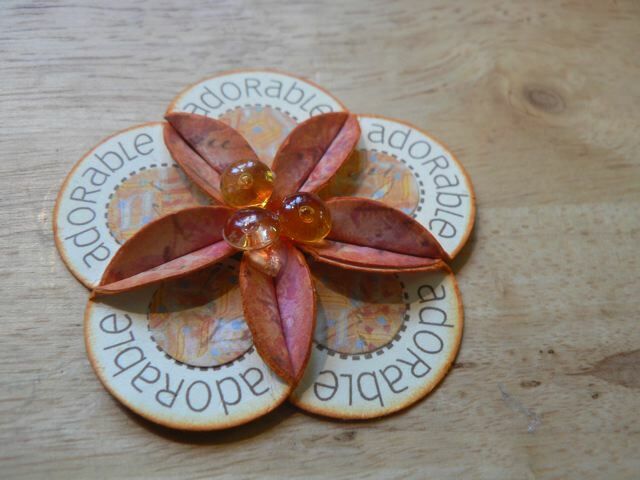 Start sticking the petals to the circle and with luck and good folds they will meet up perfectly. Top them with whatever you like – a button here, but yesterday a lovely big Prima. And I made a lot of them in different ways. With the plain black and brown versions, you can print them on plain paper and then attach that to the back of any paper or card you like (and I did that with the brown one) then punch. You can print them on a wider range of papers then add any extra colour by adding a punched circle to the empty circle on the print-out. And they look good printed on cream card as well as white. See? And you can also print the brown and black on light coloured card or paper – the coloured ones I think you would have to try to see if you like them. And a smaller circle works too if you don’t have a punch the exact size of the circle. You can see on this one my folds were a little too tight and there is a bigger gap between the petals than I would like. I would re-fold that one to open it out a smidge. I’ll be adding this to the printables page in the top menu and there is a YouTube video/slideshow as well, but the only thing you will see different there is maybe a few more close-ups of some of the flowers. I’ll probably add that tomorrow but I have to do this first so I can link to the printables and this post is already monstrous! I’m also hoping to get the spacing right with a pretty font that is readable in the very small size to do a set of more scripty ones. If so, I think I would possibly dispense with the coloured versions (although the coloured text does look cute, it’s so hard to get something that works with papers people have. Brown and Black are pretty sure to work with most things! I thought be mine might work and maybe valentine as that will be upon us before we know it. 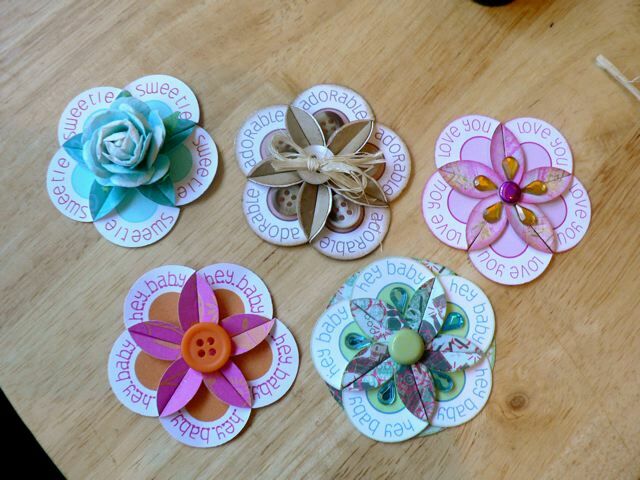 Categories: downloads, flowers, printables | Tags: flowers, how-to, printables | Permalink. These look so sweet 🙂 thank you for sharing them and giving out the downloads. These are gorgeous. How do you come up with this stuff? Creative genius. Thank you! so beautiful flowers……amazing….. thank you for sharing them with us. Wow I have to say these are fabulous! Loving the way you have finished the flowers off and the different wordings you have chosen already. My mind’s a bit blank right now, but I bet with some thought you could make a phrase that runs around the five petals instead of just one word repeated. (eg sending you lots of love for your future). Thank you for sharing these with everyone. I am trying to get some of my mojo back but it seems like it just keeps getting further and further away. Any suggestions would be greatly appreciated. I have made these folded dahlias before but adding text to the petals is pure genius! Love it, I’m back in dahlia making mode now. Thanks for sharing! These are goregous MaryAnne. Thanks for sharing the instructions. 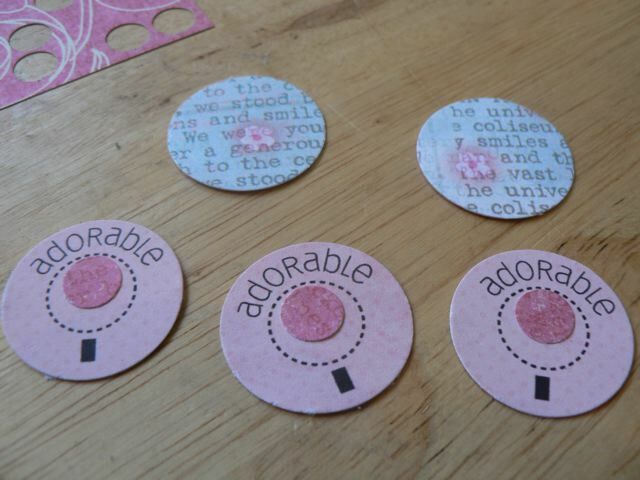 Thank you so much for this tutorial and the accompanying PDF files – these are incredibly awesome! This is a really great project and your tutorial is so nice and easy to follow. Must try a couple of these. They look so elegant in the different papers. I think since I don’t have a punch perhaps I could get them to cut on the Cricut. Just thinking…………. Nice idea. You might try simple words like thanks, get well, hello, 4 you, “b” happy. Those are a few I can think of and ones I use on my cards quite often. I am going to have to try one of these. Thanks for sharing! Yes, I have the set I am working on that includes love and marriage, congrats, baby boy and baby girl, thank you and get well. For You would work but hello might be too short, depends on the font. But thanks for the suggestions and I’ll keep them in mind! lovely, will try this and maybe a text for some who’s ill? These are gorgeous. So lovely of you to share and go to all the trouble of even looking for a different font and colours. I love these – thanks for sharing. Your blog has so many fab ideas and instructions that I could spend hours just looking (when of course I should be spending those hours actually doing!). Fabulous, going to have a play with some of these tonight! Jeepers I forgot to ask How’s Your back?? have you started some form of streaching? You must first be cleared by Your physician, then gentle walks, but streach 1st, you would B surprise how proper streaching B4 even a walk is VERY IMPORTANT! No foolin..then you can start with a few good-old fashion exercises. Thus I’ve missed being here. Do you supose you mightbe able to EXPLN WHAT Is…PNG, JPG?? PNG and JPG are image formats – it’s complicated and you really don’t need to know much more than JPGs are usually for printing (on my blog anyway) and PNGs are bigger files, often with a transparent backgound, more for use with digital scrapbooking. PDFs here can be for printing if they are what I call PRINTABLES or for printing or saving to view on your computer if they are project instructions. 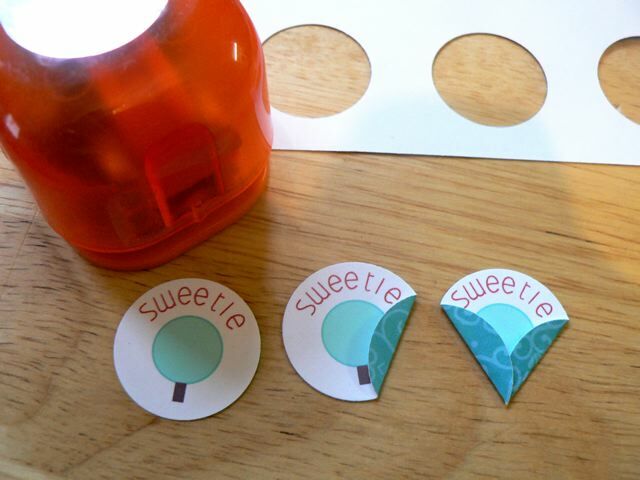 SVGs are a format that you can cut on some die cut machines like the Cricut and Craft Robo. WOYWW is What’s on your workdesk wednesday and you can see more by clicking the link to Julia in any WOYWW post. 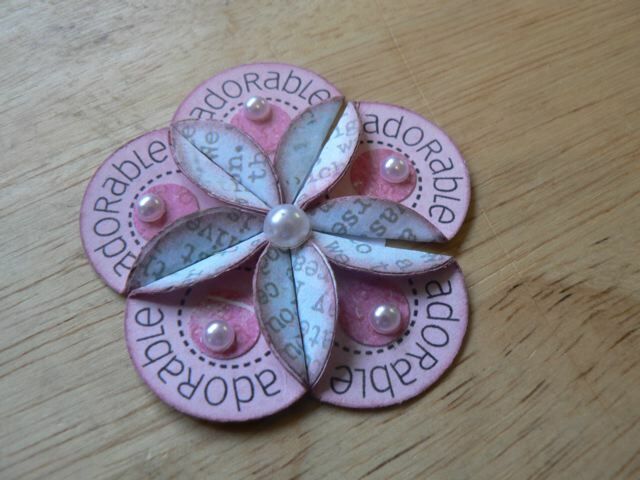 these are fabulous – deffo making some of these! who needs flower shoppe on the cricut?! Great flowers and even easier with double sided paper. You could make a triangular template in card to help get the folds in just the right place. Indeed you could! I am so math challenged 🙂 I’m guessing that has to be 360degrees for the circle/5 petals for a 72 degree angle? Hummm. not sure about that But I bet I can find the right angle then add it to the PDF so people can print it then cut the angle and make the folds. Fab. The double sided paper works only if one side is sort of solid and light, which I mention further down with the last flower – one side is pale pink. Anything too fussy or too dark and the print won’t work, even with the black only and brown only versions.